Medical staffing is a service that can benefit both healthcare facilities and medical professionals. Basically, this service is designed to provide facilities with the professional medical staff they require, while helping healthcare providers find the work they need. 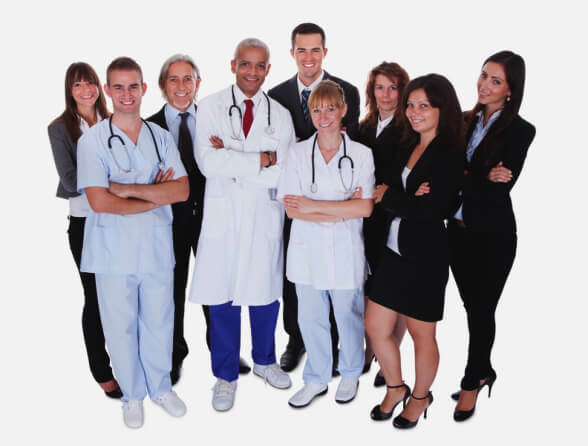 Network Medical Staffing offers nationwide medical staffing solutions. These services are not focused on the healthcare facilities and professionals but rather on ensuring that patients have access to the superb care they deserve. Our main service is to ensure that medical facilities have access to the right people for the job. This is important because it can be a challenge for these facilities to find exceptional healthcare providers, especially in a hurry and if they do, they will still need to provide training. Through our medical staffing in Oklahoma, New York, California, and throughout the country, we are able to provide experienced professionals that have the required expertise to fill your positions. By having access to highly trained and experienced medical professionals, you can go a long way in improving you’re the level of care you are offering your patients. You can even have specialists come in to treat patients that have unique conditions. By relying on these professionals, you can help speed up the recovery time and improve the treatments your patients will receive. If you are a medical professional or even a certified nursing assistant in Texas, New York, or California, we can help you find the job of your dreams or at least provide you with superb opportunities in the field of your choosing. We make it easy to find medical work, so you can begin using your skills to save lives sooner. Those are just a few of the many benefits of our nurse staffing in California and throughout the country. Basically, we are committed to pairing up the right professionals with patients in need to enhance their quality of care and to help them get back on their feet as soon as possible. If you are interested in finding out more about our services, please contact us. This entry was posted in Medical Staffing and tagged Healthcare, Medical Professional, Staffing, Staffing Solutions. Bookmark the permalink.